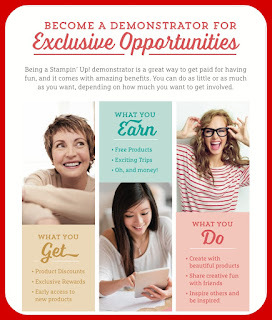 Stamping with Jeannie: Join My Team! MORE CHOICES! When you purchase the kit for $99, you can choose up to $125 of ANY current Stampin' Up! quality products. You'll also receive a business supplies pack valued at $65. This kit ships for FREE! This is a fabulous deal, whether you are a hobby stamper or want to be a business demonstrator! There's MORE!! Starting on January 3rd, 2019, for only $99 you get $175 worth of YOUR CHOICE of ANY current products in the annual Stampin' Up! Catalog or new Spring Occasions Catalog. Plus, for an extra $30 added to your Starter Kit, you can choose the all-new Craft and Carry Tote, available to customers only during Sale-a-bration when they choose to join (*$50 value). Get 20% -25% off Stampin' Up! products or keep as "instant income." Pre-order select Stampin' Up! stamps, tools and embellishments a month (or more) before the customers sales period. So cool and one of my favorite perks! Encourage others to join your group (recruit) and receive flex benefits depending on their sales and activity. Receive Stampin' Up! 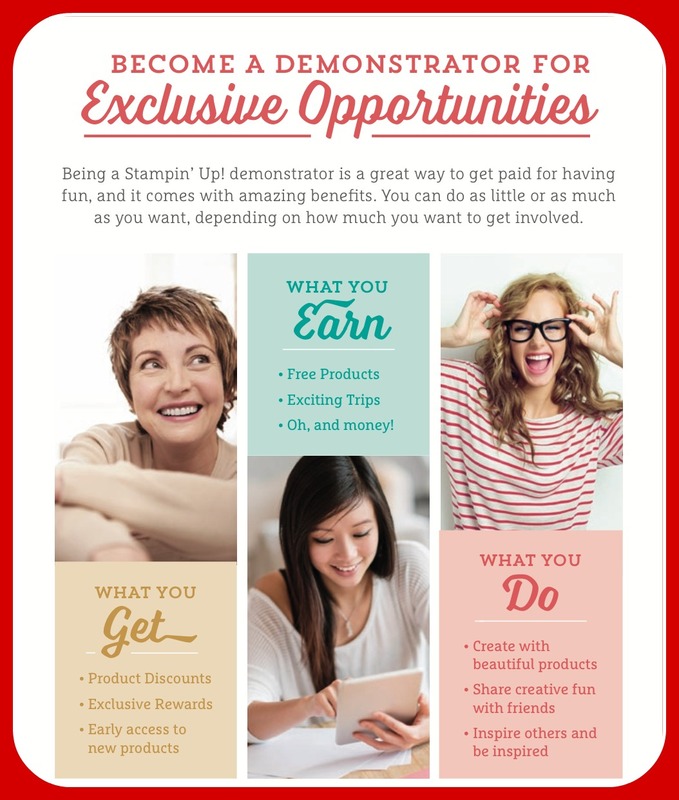 's exclusive demonstrator magazine, Stampin' Success quarterly. You'll also get the Succeed Weekly digest that's full of updates and uses for their product. Enjoy 2 free months of a personalized Stampin' Up! on-line store and blog (optional $12.95/mo. after trial). *You must sign up for this during your first 3 weeks as a new demonstrator to enjoy this benefit. Be inspired by video tutorials and project ideas on the Stampin' Up! demonstrator web site. 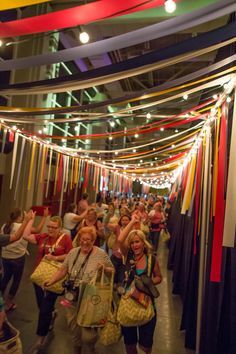 You'll love Stampin' Connection!! Plus ... there are dozens of demonstrator-specific facebook groups too! Be part of a private my Facebook/Google+ group where you can ask questions, get support, and be inspired by team member samples! If you select me as your upline, you'll be part of a team here in New England. My team name, the "Papercrafting Genies" was approved by Stampin' Up! so we're official! You'll also be part of a bigger team, The NE StampInkers, with support and get-togethers sponsored by MY upline! Join NOW!